Sarah Robb O’Hagan is something of an expert when it comes to smashing goals. As an endurance athlete who’s successfully climbed the corporate ladder, she knows first-hand how physical fitness can build mental and emotional strength. She also believes success doesn’t always fuel success – that, in fact, the opposite is very often true. 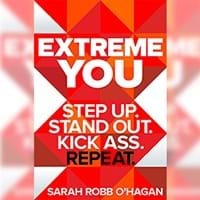 Sarah Robb O’Hagan is the founder of Extreme You – a movement which aspires to unleash high performance in all individuals – and the CEO of Flywheel Sports. She was previously president of Equinox Fitness Clubs, global president of Gatorade, and has held leadership positions at Nike and Virgin Atlantic Airways. Sarah was named one of Forbes’ ‘Most Powerful Women in Sports’ and one of Fast Company’s ‘Most Creative People in Business. It’s clear there are some valuable lessons for fitness operators here: for example, promoting an understanding that there are many different paths to success, and that this might affect the way we need to motivate members along the way; and opening our eyes to the power of a new ‘physical fitness for mental strength’ marketing message. We caught up with Sarah to discuss some of the themes of her new book, Extreme You, including how individuals can go about maximizing their potential, and how making the most of failure can in fact get you to exactly where you want to be. In your book, you’ve coined the term ‘extremers’ for people who are at the top of their game. Have we all got what it takes to become an extremer, and is it something we should all aim for? Absolutely! An extremer is anyone who’s willing to push themselves to the extreme to explore the far reaches of their potential. Everyone is capable of doing this. You first need to think about your core skills and strengths. You also need a very clear understanding of what it is you love doing and what it is you want to achieve. Once you’ve done this audit, you can commit yourself to consistently developing the qualities and skills you need to achieve your ultimate goal. That’s how you become an extremer. This is equally the case in the gym as in the workplace and all other spheres of life. There’s a big role for fitness instructors to play in helping members identify their ultimate goals, their passions, and the strengths and skills they need to get where they want to be. But how do you know where to channel your efforts – how do you find your calling? One thing successful people do a really good job of is something I call ‘checking yourself out’. Rather than reading loads of text books or googling stuff, these people just get out there with a total willingness to try new experiences. It comes down to being open-minded and really throwing yourself into new things. This helps you work out what you like, what you don’t like and what you really love – it gets you in tune with what it is that makes you thrive. Similarly, in the gym, success can hinge on finding the activities you love doing. Instructors and personal trainers need to encourage members to try everything at least once! People often talk about visualizing success – focusing on where you want to be – but you also talk about focusing on your failures. How does this help you achieve your goals? If you haven’t experienced any failures or mistakes – experiences that have led you to a place where you’re not thriving – it’s far harder to develop a strong filter that allows you to accurately sift out what’s right for you. You have to accept that you will make mistakes. Understand how to digest failure, how to learn from it, how to figure out what you would do differently next time. From this, you start to take steps forward. The problem is, there’s been an incredible generational shift over the last couple of decades. We’re increasingly questioning risk and trying to avoid making any mistakes. We fear failure. I believe this has a lot to do with what I call the self-esteem movement, which kicked in around 20 years ago when we started awarding kids trophies just for showing up – protecting them and making them feel good the whole time. By doing this, we aren’t allowing children to experience loss or to figure out where they shine. Frankly, we’re not giving them a chance to develop their own internal drive. When you’re younger, it can be very daunting. You constantly think: “Wow, if I screw that up, how will I ever recover?” But you do recover. In fact, the more knockbacks you have, the better you get at dealing with them. I’m now so much more comfortable talking about all the embarrassing elements of my failures, because I’ve learned that they’re part of the journey. Making mistakes allows you to re-evaluate your route – maybe even set new goals – and channel your strengths in a different direction. Even on a program-led path to fitness, you need to accept that there will be setbacks. There will be things that don’t work for you. Rather than giving up at these hurdles, you need to take on these learnings and refine your approach, so your ultimate success may come from taking a path which has zigged and zagged along the way. Who do you look to when you need inspiration? I get a ton of inspiration from listening to, and learning from, other people. I find it very interesting seeing how people look at problems and solve them. Right now, I’m listening to Bruce Springsteen’s memoir – it’s just fantastic, listening to someone who is one of the greatest rock stars on the planet talking about the struggles of being a broke 20-something playing in dirty little bars. Inspired by the suggestion that you might be ‘lazy’ – the kid who would barely finish the school cross-country run – you took yourself in-hand and now do marathons. Tell us more. 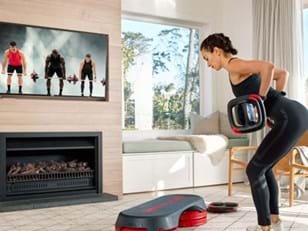 I joined the gym and started doing LES MILLS™ workouts, quickly becoming part of a cult of young people who loved group exercise and wanted to be there every day. 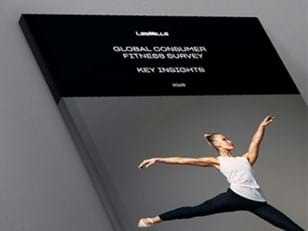 Frankly, Les Mills made exercise a lot of fun, and was a huge part of my developing a passion for fitness. Where do you find your fitness motivation now? When fitness becomes such an integral part of your life, you don't need much motivation. I don't feel I need a lot of motivation to stay fit these days, but I do enjoy setting goals – I tend to do a half-marathon every year, a triathlon here and there, and I’m doing endurance event Tough Mudder later this year. I generally find that setting goals is a great way to challenge yourself, break the routine and experience different types of training. In part though, I think my motivation comes from my deep belief that maximizing your own potential – at work and in life generally – starts with physical fitness. I know from my own personal experience, and from that of many of the people I’ve spoken to, that the act of strengthening the body physically is key to building confidence, as well as mental and emotional strength. This is a key point for operators. Don’t just focus on physical transformation when you’re trying to build sustainable motivation among members: the positive impact of being fit and active on emotional wellbeing and mental focus is an incredibly strong message, and one that’s relevant for a large proportion of the population… even those who aren’t currently active. Sarah Robb O’Hagan is the founder of Extreme You – a movement which aspires to unleash high performance in all individuals – and the CEO of Flywheel Sports. She was previously president of Equinox Fitness Clubs, global president of Gatorade, and has held leadership positions at Nike and Virgin Atlantic Airways. Sarah was named one of Forbes’ ‘Most Powerful Women in Sports’ and one of Fast Company’s ‘Most Creative People in Business’.